A story caught our eye this week that is the definition of shameful. Imagine our seniors, our parents and grandparents, being scammed out of benefits from long-term care insurance. Taking money from the elderly and infirm and denying them when they need the help they diligently paid for over the years. As San Francisco insurance attorneys we saw that Consumer Watchdog filed a class action lawsuit with the San Bernardino Superior Court earlier this week against the Senior Health Insurance Company of Pennsylvania (SHIP) including these allegations. Long-term insurance claims typically involve in-home care services, mostly for caregivers that help elderly or infirm policyholders with tasks like bathing, dressing, eating, and chores around the house. The lawsuit alleges that SHIP told policyholders that in-home caregivers must be licensed, when that is not the case. SHIP also allegedly forced policyholders to produce extensive documentation and to undergo unnecessary medical exams by SHIP employed doctors. The documentation requirements were often absurd-requiring multiple forms with the same information, medical records, proof of caregiver certification, and detailed caregiver notes. The founder of Consumer Watchdog, Harvey Rosenfield, said that SHIP takes the senior’s premiums, but when a claim comes in, they inundate the policyholder with confusing correspondence, fake requirements, and endless demands for irrelevant information. The lawsuit is on behalf of Dr. William Hall and other elderly victims of this bad faith insurance abuse. Dr. Hall is an 87 year old California resident and former US Army colonel-a wounded veteran from the Korean War. He is also the former Chief of Medicine at a California hospital. His son Eric said that Dr. Hall bought the SHIP long-term care policy to spare his family the expense of this type of care. Eric Hall says that because of SHIP the family has spent more money and more time on Dr. Hall’s care than if he had never bought the policy. Dr. Hall bought his long-term care policy in 1994 and paid premiums for sixteen years. When he needed care, SHIP delayed his benefits for eight months and then only provided him with 20 percent of the benefits to which he was entitled. Because of that, he has spent tens of thousands of dollars for caregivers, exhausting his personal resources. Dr. Hall has had to turn to his children for care, which is exactly what he was trying avoid when he purchased the insurance policy in ’94. The suit asks for these bad practices to stop-the inundated correspondence, requests for unnecessary documentation and medical records, lengthy delays when responding to claims. The suit also requests that the company make the process more transparent and clear for policyholders to understand what their policy covers. It also seeks that policyholders be able to use their own doctor to determine their eligibility for benefits. Dr. Hall personally is also seeking damages for breach of contract, elder abuse and fraudulent business practices. 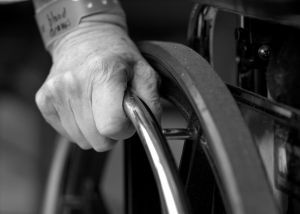 Our San Francisco bad faith insurance lawyers understand the plight of these affected California seniors. It is truly horrible that SHIP has treated their vulnerable customers in such a manner, especially when they are already frail and in need of care. An insurance lawsuit is often the only way to really make a big insurance company take notice and change its policies, as well as an opportunity for wronged consumers to get the money they deserve.